Ericsson has accelerated efforts and investments to further extend its television and media leadership in the Pay TV space. As part of this effort, Ericsson announced a number of solutions that deliver new television experiences for consumers while providing operators with the tools to increase revenue, build customer loyalty and drive new business. 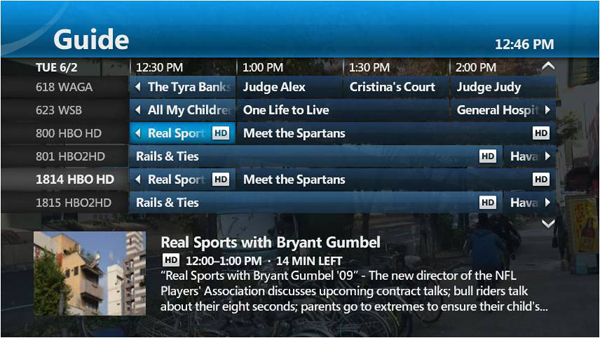 Ericsson is introducing the latest release of the industry-leading IPTV platform, Ericsson Mediaroom. The latest release elevates the TV viewing experience, delivering a host of new consumer-oriented capabilities that empower operators to deliver the highest quality live, video on demand (VOD) and time-shifted television experiences. New features include making “Restart TV” a core experience; unified search functionality that offers consumers unparalleled levels of simplicity when discovering content; an enhanced user interface that maximizes full-screen viewing; and a new, more visual channel guide. Providing service operators with the most innovative technology remains a key driver for Ericsson. Recognizing 4K and HEVC as the next major consumer experience expectation, Ericsson is bringing 4K and HEVC capabilities to the Ericsson Mediaroom platform. The new Ericsson Mediaroom client for ARM-based System-on-a-Chip (SoC) set top boxes will be available in the second half of 2015, equipping operators to deliver the best video quality on TV screens. To extend the Ericsson Mediaroom platform to all screens, Ericsson is also introducing Ericsson Mediaroom Reach, a highly scalable solution born out of the company’s acquisition of Azuki Systems earlier this year. Ericsson Mediaroom Reach quickly, easily and cost-effectively enables the deployment of over-the-top video to any device. With Ericsson Mediaroom Reach, operators can securely deploy Adaptive Bit Rate (ABR) video streams, servicing more customers and more devices and greatly increasing market footprints. Ericsson is also leveraging the technology that powers Ericsson Mediaroom Reach to deliver innovative experiences for digital terrestrial, cable and satellite operators via a connected set top box (STB) with both ABR and Digital Video Broadcasting (DVB) hybrid delivery. Working with third party partners including iWedia, Marvell, Kaon and Arcadyan, Ericsson is combining the ABR capabilities of Ericsson Mediaroom Reach with traditional broadcast TV offerings to provide hybrid TV delivery platforms for IP/Terrestrial, IP/Cable and IP/Satellite, allowing consumers to access both broadcast and ABR content. Ericsson Mediaroom and Mediaroom Reach are available to operators today. Together, all three solutions represent the significant investments Ericsson is continuing to make in the TV and media space.